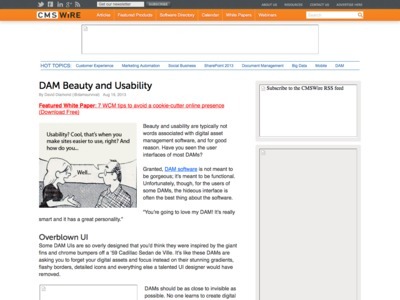 “Beauty and usability are typically not words associated with digital asset management software, and for good reason. Have you seen the user interfaces of most DAMs? […] DAMs should be as close to invisible as possible. No one learns to create digital content just to spend time in a DAM. Let the digital assets be the stars.